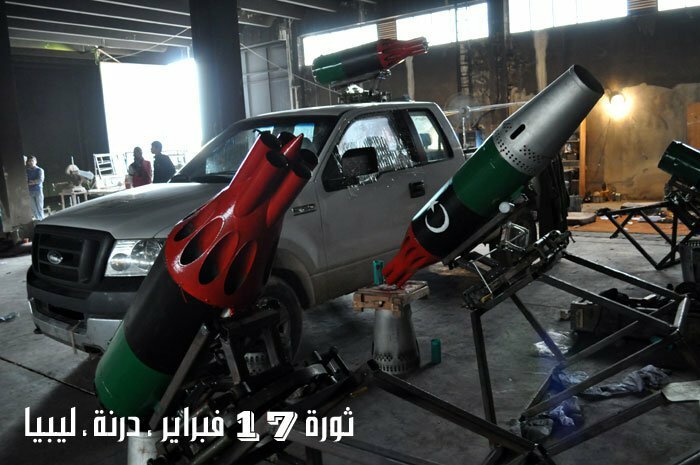 Rather than decisive, the recent handover of the operations in Libya to the NATO took place when Gaddafi’s forces seems to be more effective on their attacks to the rebels. Oppositors continue to retreat from former strongholds of Ras Lanuf and Bin Jawad along Libya’s north-eastern coast Ras Lanuf has put the situation while Misratah is still under attack of loyalist troops. Even if Adm Mike Mullen affirmed that coalition strikes degraded the Libyan military’s capabilities (25% of Gaddafi’s forces according to an estimate) the regime forces (and I add, know how and training) still outmatch those of the opposition that are pulling back since two days, when they were closing in on the Gaddafi’s hometown Sirte and were pushed back by heavy shelling of the regime. Looks like also that loyalist are achieving better results after adopting new tactics as a consequence of the “Lesson Learned” with the coalition airstrikes on their tanks and armored vehicles. As a senior US intelligence official explained to the Associated Press, the governative forces are proceeding faster because they’ve left some of their heavier weapons behind in favor of minivans and SUVs fitted with weapons. In most cases they use civilian vehicles which makes it extremely harder for the coalition to distinguish loyalist forces from the rebels. Is this the reason for the sudden decrease in the number of effective allied airstrike? Maybe. The New York Times reported that the CIA has a certain number of operatives on the ground and that there are airstrikes are somehow guided by British special forces. Run rate on Unified Protector will be $40m per month, Gates said at House and Senate Armed Services committees. No resources will be shifted to Libya from Afghanistan, and the only asset diverted were five Navy jamming EA-18G Growlers from Iraq, currently deployed to Aviano airbase. 1) After the defection of the Libyan Foreign Minister Moussa Koussa, a number of close advisers to Col. Gaddafi should be in Tunisia awaiting flights out the country. Some private planes flying to/from Tunis were monitored yesterday with no official confirmation of being used for such purposes. 2) Last week I was contacted by the Financial Times journalist Katrina Manson that was looking for some information while preparing an article dealing with African mercenaries being drafted into Libya before Odyssey Dawn began. The first thing I explained here was that I hadn’t (and unfortunately still haven’t) specific information on this topic other than those written in the previous blog’s post titled “Libyan Air Force strikes: conflicting results“. As I wrote to Katrina, we’ve been reading and hearing lots of rumours of Algerian AF aircraft flying into Libya before the NFZ was established but such type of flight would pass so far to the south east that it would be impossible to get any evidence of the transit using for example freely available tools like Flightradar24….. However, a few days later, once again thanks to Twitter, I found the following Youtube video. These leaked documents, obtained from an air traffic controller, show that the Algerian government is assisting Gaddafi and his regime to crush the Libyan people’s revolution. The permission number is LBA 0671 201207 which identifies the destination as Libya (LBA). The list shows the (highlighted) ID/registration numbers of planes: US-made C130 and Russian-made Ilyushin-76 transport planes that have landed in Libyan military airports (Metega (Tripoli) and Al-Gardabya (Sirte)). These planes are used to transport ammunition, weapons, and the Polisario mercenaries from the Western Sahara and African mercenaries from Mali, etc. to Libya to help the Gaddafi regime fighting the Libyan people. I checked with several Algerian authorities, and they all denied any kind of armament shipments to Libya, recently. 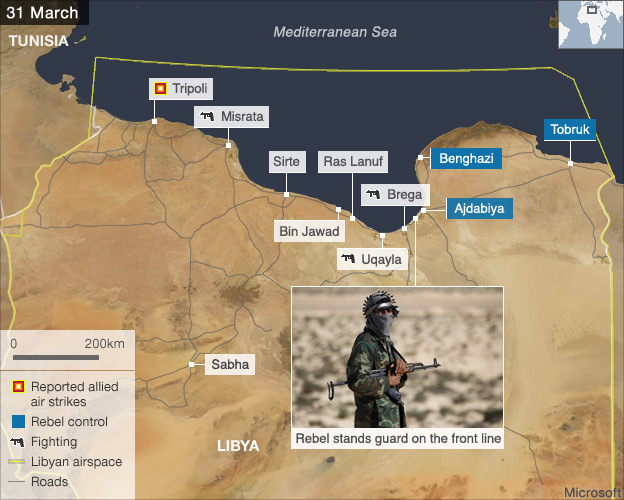 The only “air bridge” the Libyan AF mounted since early February was a deployment of a total of five Army brigades along the border to Libya. A perfectly “normal” measure in a case like this one. The use of military Il-76s in that part of the world is not that “special”. We should not forget to keep in mind that the military is practically controlling all kinds of flying there. Anyway, I doubt there could be anything of importance in terms of “armament” there: Libya is actually flush with weapons, because it was always buying at least 50% more than its own forces could require. Of course there is a further dramatic question to be addressed for psyops messages propagated through the Internet, and it is the one pertaining to information security, some aspect of which I have already addressed in this post. On one hand, whatever message is transmitted through the Internet may be suitable to man-in-the middle attacks and hence hacked if not properly secured throughout the propagation process: hacking in this case would correspond, for instance, to alter, if not invert, the content. What if the above mentioned tweets were spoofed providing false coordinates? Maybe am I flying with the fantasy if I say that the authors could have negotiated a priori with the recipients some predefined semantics with which to transmit the messages. On the other hand, it is likely that the Corps of (Network and Security) Engineers will not have to worry about only to establish and maintain the internet connectivity in military operations, but also to face, in a cyber-battlefield, enemy malware weapons and/or jamming of Denial-Of-Service tools specifically conceived to attack psyops sources at the root (it is appropriate to say!) in order to make them unusable. In any case, they will not have to underestimate in any way the impact of hacking from a psyops perspective (in favor or against…. Almost surely, the use of the network for a direct intervention on the Libyan Government websites (as the jamming of the State TV) would exceed the limits imposed by the UN Security Council resolution, but the one of the Network Security remains an aspect of modern warfare that must be taken into consideration. 4) Build up continues: 6 Royal Jordanian Air Force F-16s landed in Aviano on Mar. 31. 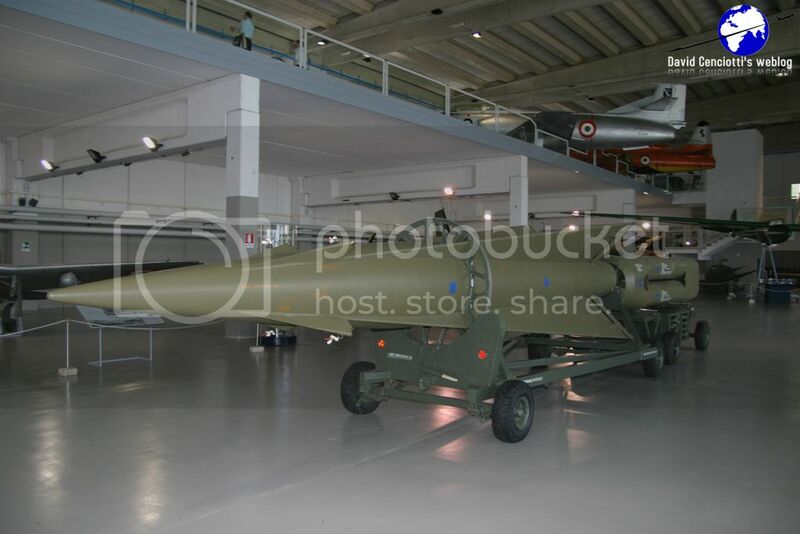 Another news of the Day 13 is the one according to which the Swedish Air Force should deploy to Decimomannu. The Norwegian Defence head of Communications affirmed that “19 successful bombs” have been dropped by the Norwegian F-16s and that all assigned targets were hit. He didn’t go in detail on the targets, but said they were generally tanks, installations at airbases and ammunition storages. Some targets have been moveable (they could have been moving or stationary tanks) so he assumed casualties but RNoAF is quite certain no civilians were nearby any of the strikes. Noteworthy, as Aksel Magdahl suggested me, with two aircraft less (+2 spares), the RDAF is flying many missions compared to the Norwegian. They have flown 39 missions and dropped 102 bombs. What could be the reason for these figures? Maybe the Danish is more experienced in the Air-to-ground or is Sicily a much more convenient forward operating base, being nearer to the area of operation? According to the last update, RDAF F-16 flew 4 missions over northern Libya; during 2 of the missions, the Danish F-16s dropped precision weapons against vehicles and infrastructure. In connection with the other two missions vehicles were also identified by no bombs were dropped in accordance with the RoE in place. 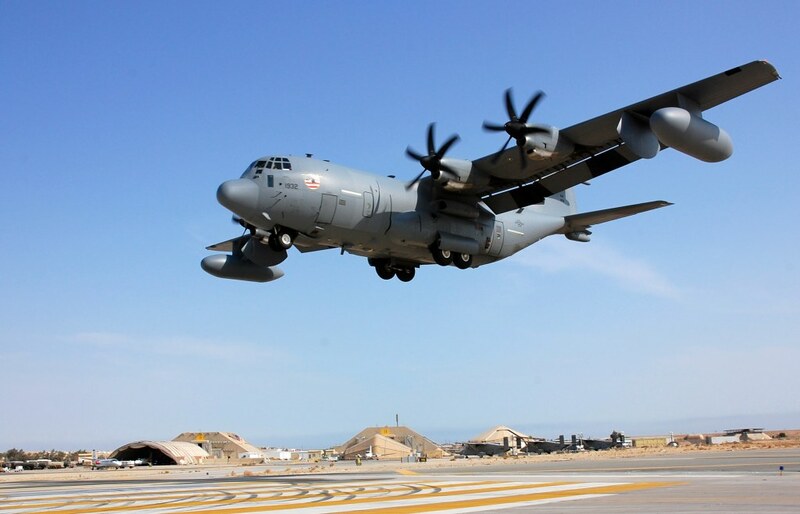 The first French missions under NATO command were made during daylight, mostly from the air base of Solenzara in the regions of Sirte and Misratah. 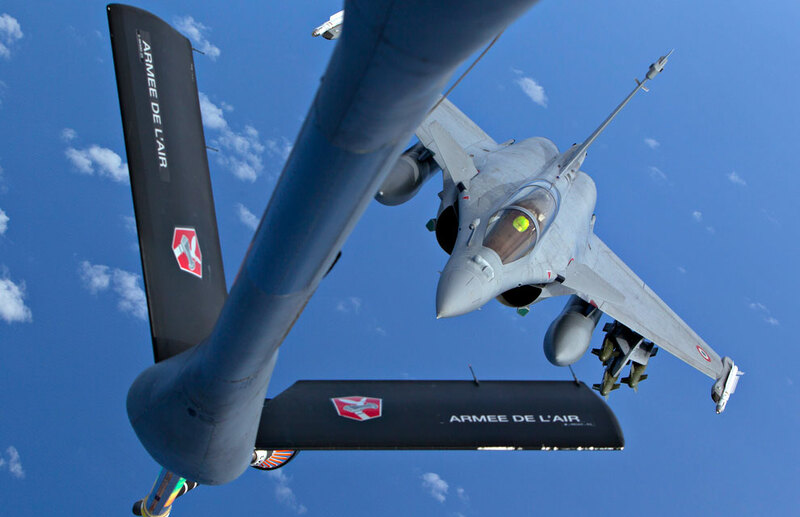 Two Rafale missions, two Mirage 2000D missions and 1 Mirage F1CR mission performed combat patrols and recce, with the support provided by a E-3F and 3 C-135s. 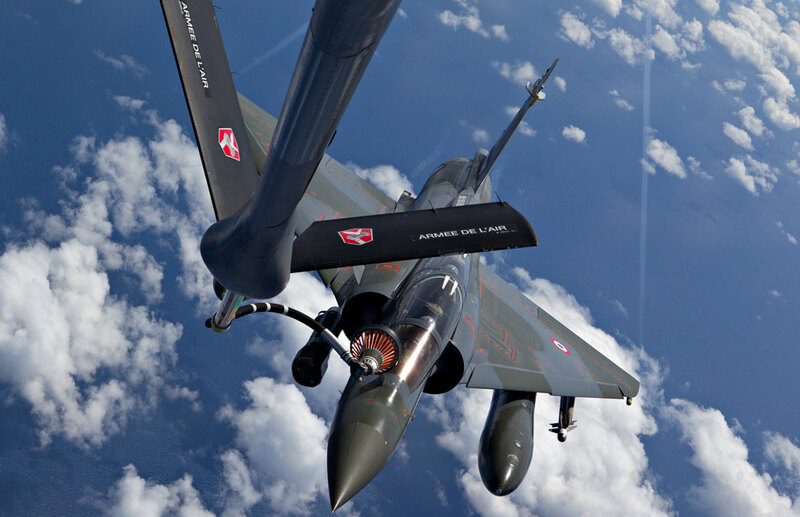 In the late afternoon, the French detachment in Souda Bay, flew also a CAP involving 2 Mirage 2000-5. 5) The Italian MoD released some interesting information about the Italian contribution to the last couple of days of Unified Protector. In the evening of Mar. 30 (Day 12) 5 missions were flown (each made by 2 sorties = 2 aircraft): 2x CAPs with Typhoons, 2x Air Defence/armed recon with AV-8Bs of the Italian Navy, and 1x Recce with Tornados. Noteworthy the press release speaks of “reconnaissance” mission with the “Tornado”, without specifying the type. 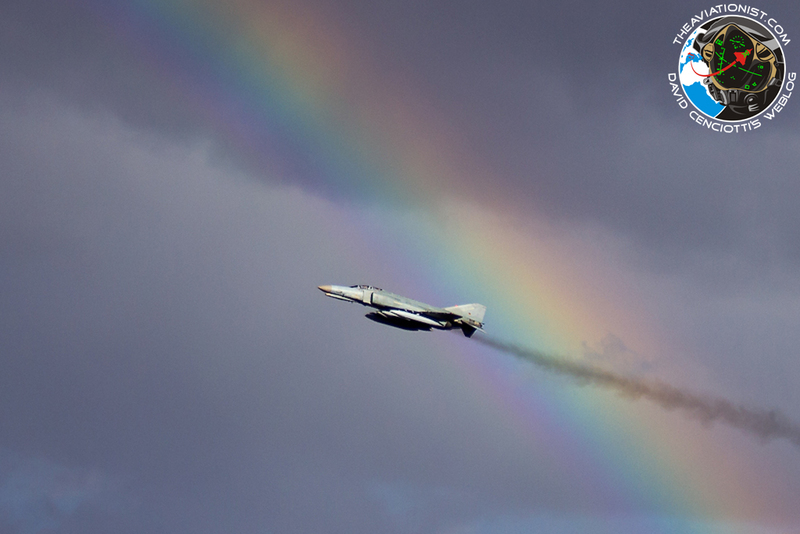 Maybe this means (I’m waiting confirmations) that the Italian Air Force is now flying also the Italian Tornado IDS (previously used only as a buddy refueler for the Tornado ECR) for reconnaissance purposes using the Reccelite pod. On Day 13, 5 missions were flown: 1x Tornado (reconnaissance), 2x AV-8B+ (Air Def/recon), 2x Typhoon (CAP) both refueled by Tornados.